Posted by leskanturek in Class Topics, Picture files and Reference, Researching for Art. As an illustrator, you will be developing your own projects as well as collaborating with others on their projects. Authors, editors, creative directors, and art directors are all relying on your expertise to bring an idea to visual life. Researching your topic is one of the most important things you can do in developing an illustration. Gathering reference isn’t simply a matter of making sure your subject’s anatomy is correct but becoming enough of an expert on that subject so you can add integrity to your drawing/painting and know where you can take artistic liberties. 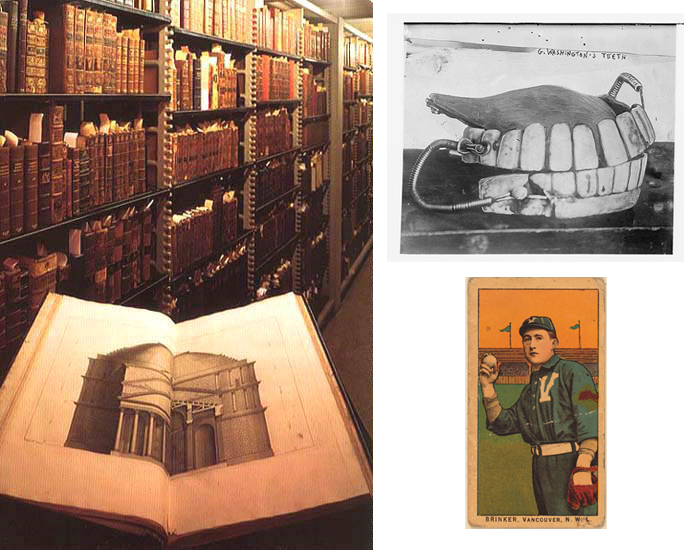 The Library of Congress ( LOC) is an unbelievable resource for visual, and intellectual,research. A visit to the site will undoubtedly give you ideas and topics for projects for years to come. In many cases hi-res files of the viewed image is available , ( you should be careful to read the copyright info, not everything is in the public domain). 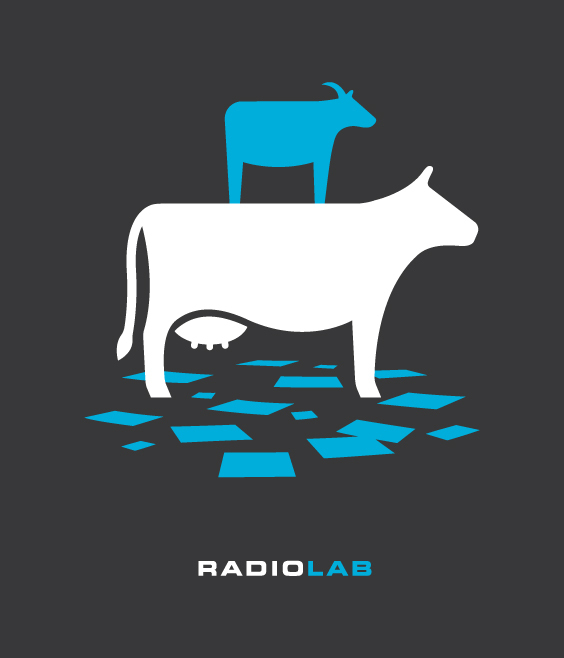 Film, audio recordings… it really is a virtual treasure trove of information and imagery. Posted by leskanturek in Class Assignments, Class Topics, Picture files and Reference, Surreal. 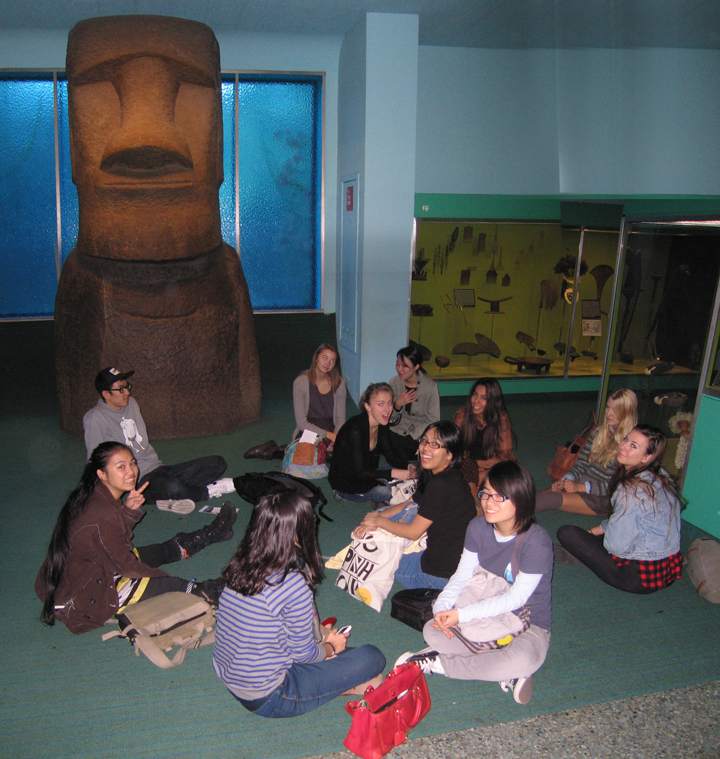 This fall we met at the Museum of Natural History to sketch/ gather reference for an assignment exploring surrealism. Surrealism in art portrays the dream, the element of surprise sometimes with unexpected juxtapositions of things within the same space. The museum is an amazing place to sketch , draw and photograph not only animal life (taxidermied) but also exhibits of different cultures around the world. Of course the museum is also extremely surreal it self with it’s own sometimes odd juxtapositions of exhibits. View lowland gorillas and then turn the corner and you’re in Mexico . We met on the 3rd floor which has displays of Indonesian shadow puppets, pacific islander culture along with other Native American exhibits. The museum is like one big living scrap(reference) file that you can walk through. I’ve always found their exhibits organized similarly to how a sketchbook could be organized. Details called out from models, notes , captions. 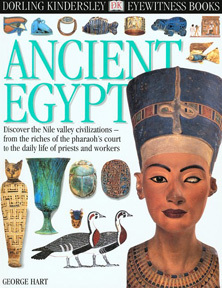 Where a part of an artifact is missing the visual information is drawn in. Then there is the subway stop with the mosaics depicting the evolution of species. (above) For Want of a Nail, 2000 Glass and ceramic mosaic, handmade ceramic relief tiles, hand-cast glass, bronze and cut granite floor tiles throughout the 81st subway stop. Posted by leskanturek in Handout Sheets, Picture files and Reference. Always start an illustration with as much information as you can possibly get. Notice I’m saying information and not simply reference material. It’s your job….it’s what makes an art director choose you over another illustrator/artist, your expertise. 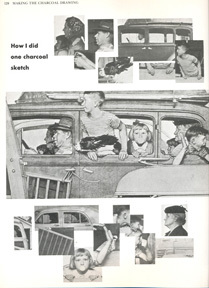 Information is what allows you to collaborate with an author and art director and not simply act as a pair of hands. Have integrity in your work, go the extra mile. Research your subject. 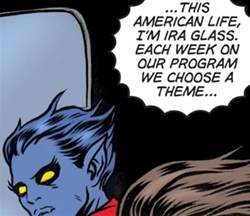 • Viewers out there know when something doesn’t look right, be it anatomy or something technical. • Looking up scrap helps you generate ideas/concepts. This is a fantastic resource for reference! :ot’s of photos and illustrations. Grouped by subject. Ie: What a fireman does, how cars are made etc. Photo houses are also a source for royalty free photos for use and reference. Be careful!,there is a very real copyright attached to the images. Ask your client for the reference you need for the job. (They will not do your work for you . Research is your department). Ask particularly if the subject is obscure or technical and your client is a repository of photos and images. Newspapers traditionally have their own Morgue that you might be able to use. 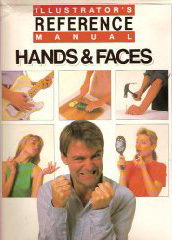 Like the illustrators Reference manual of Hands and Faces, or the visual dictionary. Time life etc. fixing your home , etc. • Spend less time running around town, when you should be drawing. • You know what you like to draw or have trouble drawing. • Shoot your own photos, get friends to pose, you should know how to handle a camera anyway to shoot your own artwork and scrap) . • Suggestions about groupings, follow the model of the Public Library, Occupations: Fireman, nurse etc., Men: Standing, sitting, young old etc. 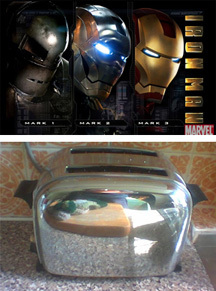 What does Iron Man and this toaster have in common? When you use reference use it creatively. Can studying an old car’s chrome bumper help you draw Iron Man? Would looking at the segmented armor of a pangolin (look it up) help? • Use a general search, Google, Yahoo. Click on images as a view option. • There are a lot of Stock photo sites you can browse for free. again There is a very real copyright attached to the images. That’s how these agencies make their income. This is for reference only! • Government sites have in many cases copyright free images and Hi-res that you can use. The Library of Congress, NASA to name a few. Beware copyright infringement, just because it’s on the web does not make it free, or mean it can be used without permission. .